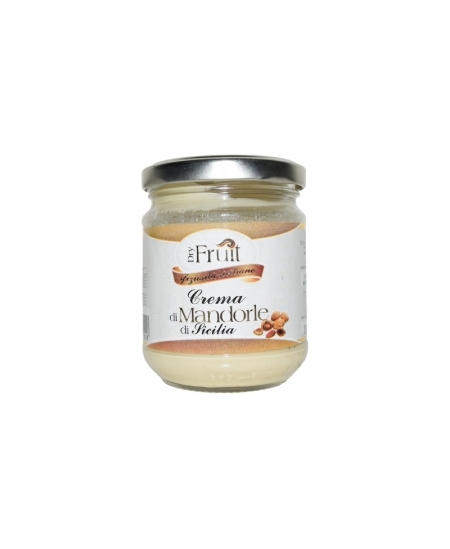 Soleo Sicysun - Almonds cream - 200 gr. 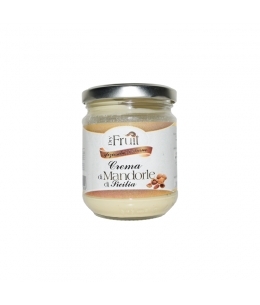 Home > Dried Fruit>Cream and Pastes>Soleo Sicysun - Almonds cream - 200 gr. The "Sicysun srl", owner of the "DRY FRUIT SFIZIOSITA SICILIANE" brand, operating since 2000, is a company specialized in processing, processing and marketing of dried fruit with particular regard to pistachios, mandolas and hazelnuts whose cultivation is typical of the interland in which it stands. The company transforms, sells and imports different types of dried fruit such as pine nuts, walnuts, armellini, coconut, sultana grapes, cashews, etc. .. always through rigorous research systems that guarantee products of the highest quality. All this dictated by the continuous needs and various evolutions of a market always looking for new products that satisfy its customers.